Flicking through the glossy pages of the sustainable asian house, a reader cannot be but impressed with the way the 27 spectacular houses reviewed within effortlessly combine striking architectural modernism, featuring concrete, steel, copper and glass, with the raw beauty of traditional local materials, such as bamboo, stone, native hardwood timbers and tropical plants. Author Paul McGillick, editorial director of the Indesign Group, documents the changing face of sustainable housing across Southeast Asia, stopping to admire how global trends and traditional practices are merged in the residential designs he examines. He also ponders some interesting questions on specific lifestyle and climate-related issues as well as how the rapid changes in demographics is impacting the architecture of the region. 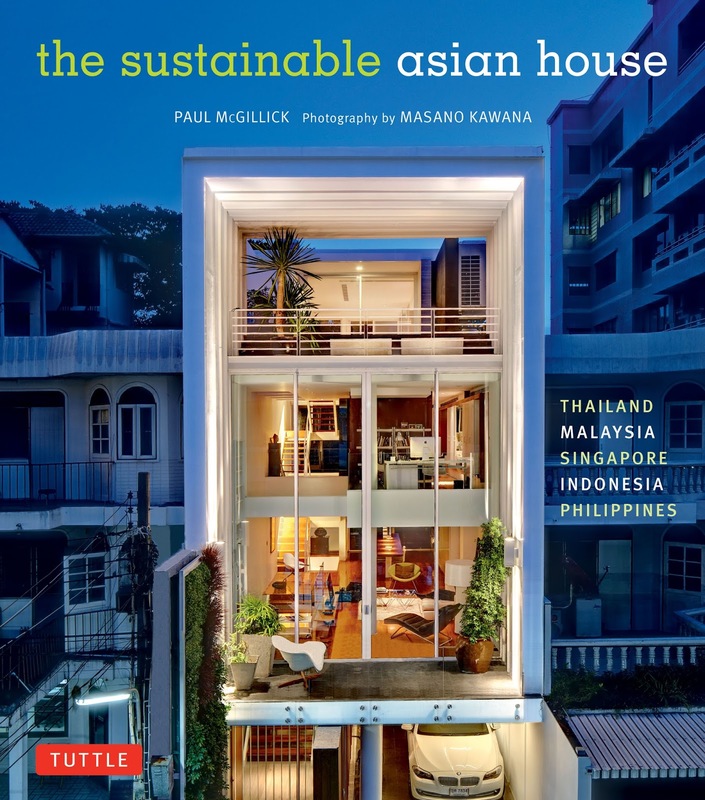 Published by Tuttle, this significant new book on the very best houses from the five Southeast Asian countries of Thailand, Malaysia, Singapore, Indonesia and the Philippines is a must to read and relish.